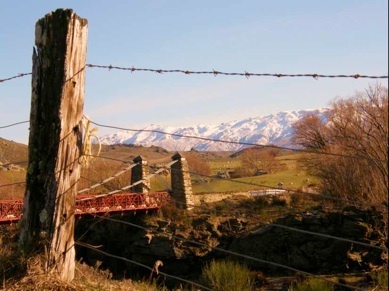 Central Otago is renowned for searing hot summers and biting cold winters. The jagged landscape of thrusting rock tors, soaring mountain ranges and deep river valleys combine to make Central Otago a land apart. It is a tough environment for all producers: farmers, orchardists, vintners and beekeepers. But from the harshest of climate comes the finest of produce. We love the totally distinct seasons. Winter pushes our bees into hibernation, spring brings an abrupt bloom of blossoms yielding vital nectar and pollen. Summer is a time of excitement if we receive enough rain,or heartache if Central Otago delivers one of its‘ brutal droughts. In November the hills are purple with the flowering of wild thyme. At any time of the year a walk in the hills around Alexandra or Clyde is to be surrounded by the pungent, aromatic odor of wild thyme being crushed underfoot!